Have you ever wanted to open your window to let fresh air into your home but couldn’t because of the weather? You can with awning windows – they’re the perfect addition to your Milwaukee home. There are many benefits to having awning windows installed. From being able to freely open your windows to energy efficiency, there are many reasons why you want an awning windows in for your home in Madison. 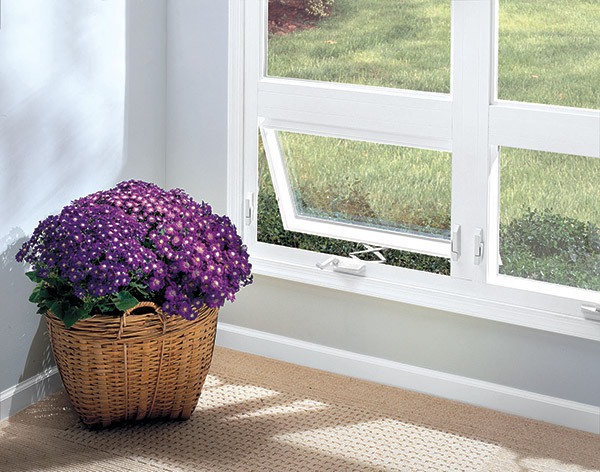 As we’ve already mentioned, awning windows allow you to open your window during any weather. This is because the window is hinged at the top and opens outwards from your home, creating an awning effect. Rain and snow will slide down and away from your home without getting inside. That means you can enjoy fresh air when during the crazy thunderstorms or even hail. No more worrying about stuffy rooms. Feldco awning windows are built to be your most energy efficient option available. The frames are foam insulated and the glass is double pane and argon gas-filled. This prevents heated and cooled air from escaping your home. What’s the benefit of having energy efficient windows? There are a couple of reasons. First, your home will be comfortable year round. It’ll be easier for you to regulate the temperature. More importantly, energy efficient windows will save you money. By keeping heated and cooled air trapped in your home, your furnace and air conditioner won’t have to work as hard to reach your desired temperature. That means they’ll be using less power and your energy bills will decrease. Awning windows are perfect for any room and in conjunction with any window style. They’re a super versatile window option that can be custom made into any size and color, including wood grain finishes. Since they’re operable windows, they’d work well with picture windows in bedroom or living rooms. Maybe, you’d like them to stand on their own in a kitchen or dining room. There’s no right or wrong way to use an awning window – the choice is up to you. Getting a great product is only half the battle. Awning window installation can be the difference between a drafty mess and your dream window. Thankfully, Feldco has you covered. We make sure that all of our windows are installed by factory trained and certified professionals. It has never been so easy to have your windows replaced. Get a free quote now and we can get started on creating the perfect awning windows for your home today.